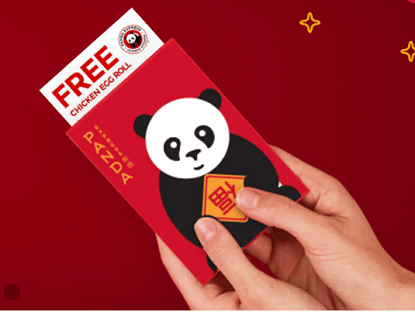 You are here: Freebies » Coupons For Freebies » FREE Chicken Egg Roll and Dr. Pepper at Panda Express (TODAY 2/5)! FREE Chicken Egg Roll and Dr. Pepper at Panda Express (TODAY 2/5)! *Reminder: This offer is valid today only! Panda Express in offering Red Envelopes with a FREE Chicken Egg Roll and Dr. Pepper and it’s valid on Tuesday February 5th, 2019 only. *While supplies last.